Vice President Joe Biden sat down for an interview with CNN’s Gloria Borger on Monday to continue the Obama administration’s anti-gun publicity tour promoting the president’s latest unconstitutional executive orders regulating firearms. But that’s not what the Second Amendment says. Sanders, from gun-friendly Vermont, has been taking flak for not signing onto the Democrat gun control agenda during Obama’s publicity tour. Hillary Clinton has been pounding poor Bernie on the issue as she has little else to outflank his progressivism. And in a little smack to Hillary and Obama, Biden said he is “okay” with Sanders’ position on the Second Amendment. 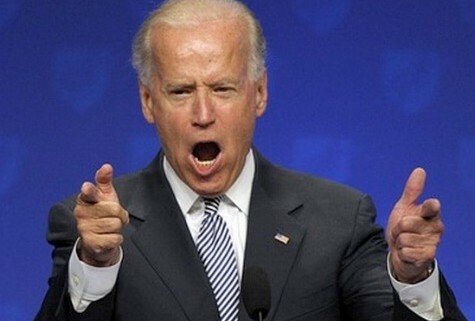 Borger did not correct Biden’s reading of the Second Amendment.